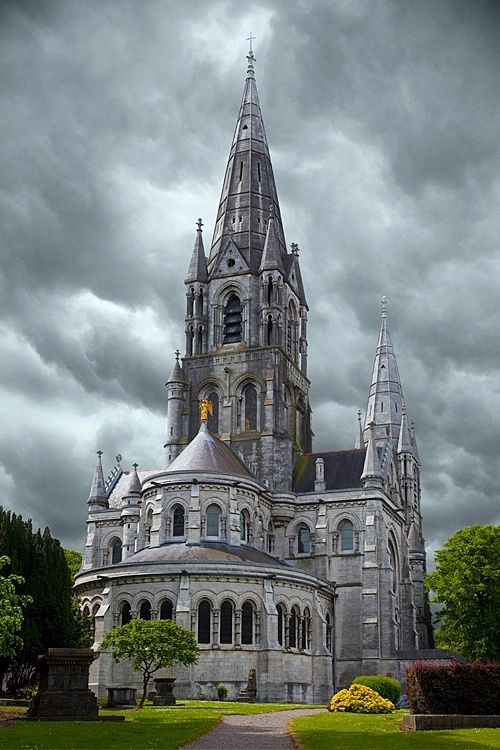 Saint Fin Barre's Cathedral, is a cathedral of the Church of Ireland in Cork city, Ireland. It is in the ecclesiastical province of Dublin. Begun in 1863, the cathedral was the first major work of the Victorian architect William Burges. Previously the cathedral of the Diocese of Cork, it is now one of three cathedrals in the United Dioceses of Cork, Cloyne and Ross. The competition for the building of St Fin Barre's was held in 1862. In February 1863, Burges was declared the winner. His diary records his delight; "Got Cork! ", whilst the cathedral accounts record the payment of the winning prize sum of £100. Building work took seven years before Divine Service was held in the catherdral in 1870. Building, carving and decoration continued into the 20th century, long after Burges's death in 1881.